Part I: Factors to Consider When Connecting To International Power In Part I of this two-part series, we'll discuss four key factors to take into account when preparing your boat to connect to international shorepower. Shorepower is an increasingly vital service for the modern cruising boat. Many boats have most, if not all, the comforts of home-and those comforts come with a nearly insatiable appetite for electrical power. Most larger cruising boats have generators aboard, but running them constantly can be expensive and won't help you make friends at the dock. Fortunately, many modern (and even not-so-modern) marinas offer shorepower for visiting yachts. But before you arrive at that dream cruising port and plug in your TV, microwave, air conditioner, and laptop, it pays to make some careful preparations for the variety of shorepower standards you'll encounter. In Part I of this two-part series, we&apos;ll discuss four key factors to take into account when preparing your boat to connect to international shorepower. Shorepower is an increasingly vital service for the modern cruising boat. Many boats have most, if not all, the comforts of home-and those comforts come with a nearly insatiable appetite for electrical power. Most larger cruising boats have generators aboard, but running them constantly can be expensive and won&apos;t help you make friends at the dock. Fortunately, many modern (and even not-so-modern) marinas offer shorepower for visiting yachts. But before you arrive at that dream cruising port and plug in your TV, microwave, air conditioner, and laptop, it pays to make some careful preparations for the variety of shorepower standards you&apos;ll encounter. There are four primary factors to consider in preparing for plugging into international power: line frequency, nominal voltage, voltage fluctuations, and physical connection requirements. Virtually all electrical power delivered by public and private utilities throughout the world is in the form of alternating current (AC). Unlike the direct current (DC) power that comes from batteries, where voltage is steady and current flows in a constant direction, the voltage and current in AC power are constantly changing and alternating in direction. In the United States, our AC power alternates at a rate of 60 times per second; this is called the "line frequency" and is measured in hertz (Hz). In the majority of the world, the line frequency is 50Hz. While the difference between 60Hz and 50Hz might seem relatively minor, many types of equipment can be damaged by operating on a frequency other than the one for which the equipment is designed. Some equipment, like your water heater, will work just fine on either 50Hz or 60Hz power. Other devices will work but may run slower or use more current on 50Hz power. A major factor in preparing your boat&apos;s electrical system for international power is handling this frequency difference. The second factor to consider in preparing to connect to international power is line voltage. There are a wide variety of voltage standards throughout the world. The most common voltages in the United States are 120 and 240 volts, although a few marinas have 208-volt shorepower, or higher voltages for very large yachts and commercial vessels. Differences in line voltage standards are a bit easier to compensate for than frequency differences, but they&apos;re just as critical. Mistakenly connecting your appliances or electronic equipment to incorrect voltages-either too high or too low-can cause permanent damage and is a potential fire hazard. Another critical factor to consider is line voltage fluctuation. Line voltage standards are expressed in "nominal" or "normal" voltage. However, if you&apos;ve ever been at the outer end of a long pier full of boats in extreme weather, you know that line voltage can vary significantly with the amount of load on the wiring you share with your neighbors at the dock. Worse yet, in some countries, the land-based power distribution systems are not as robust or as well maintained as they typically are in the U.S., so even the voltage fed to the marina from the local utility can vary dramatically as demand on the utility changes throughout the day. Some equipment may be fairly tolerant to line voltage fluctuations, simply shutting down without permanent damage if the voltage drops too low or blowing a fuse if voltage climbs too high. Other equipment-especially appliances with electric motors-can be severely damaged by operating on improper voltage. The amount of power an electrical device requires to do its work is expressed in watts, which is the product of volts and amps (watts = volts Ã amps). If a device normally uses 400 watts while running and the line voltage falls by 20 percent, in order to continue to do the work, the device must now use at least 20 percent more current (amps). Unfortunately, current flow creates heat, so as the number of amps increases, so does the heat. Eventually, this additional heat may cause a variety of failures, from insulation breakdown in wiring to melted cases and even fires. While some equipment can tolerate voltage fluctuation better than others, virtually every electrical device works better and more efficiently on a stable line voltage that is within its specifications. Finally, physical connection requirements vary throughout the world. Most experienced cruisers end up with a locker full of adapters and shorepower cords. In the United States, 30-amp and 50-amp "twist lock" connectors are the most common, although new "smart plugs" that promise considerable improvements in reliability and safety are beginning to appear on boats and in marinas. In Europe, the three most common outlets are 16-, 32-, and 63-amp 230-volt circuits with European standard connectors-fairly straightforward. 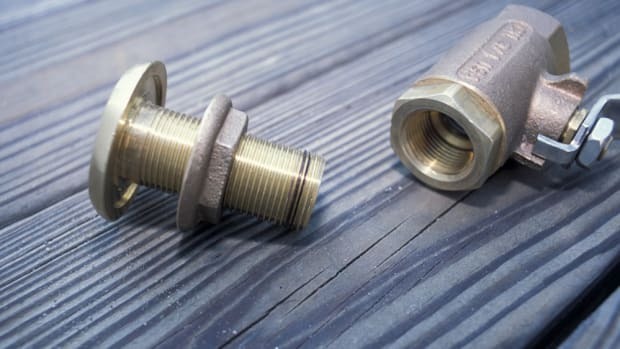 For many cruisers in other parts of the world, however, one of the high-priority tasks after arriving at a marina is hunting down a local chandlery and buying adapters or bare connectors that are compatible with local shorepower outlets. Some cruisers even prepare a special shorepower cord with a connector for their boat on one end and a junction box at the opposite end. When they acquire the local connector or adapter, it&apos;s easy to open the junction box and wire the new connector into their shorepower cord. 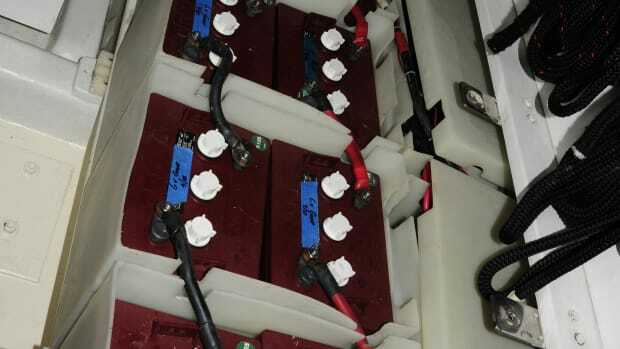 Of course, before connecting your boat to any unknown shorepower source, you&apos;re wise to carefully verify-even measure-the line voltage and frequency to be sure they are compatible with your onboard equipment. Also be very sure you know which are the ground and neutral conductors (if there are separate ground and neutral conductors). Installing an isolation transformer can help protect you and your boat from ground and neutral issues, so this is highly recommended. The table below shows a list of countries and their nominal line voltage and frequency. Where there are multiple entries for a country, this means that several different levels of shorepower may be available (analogous to our 30-amp/120-volt, 50-amp/240-volt, and 100-amp/240-volt outlets). When it comes to international shorepower, knowing the connection issues is half the battle. The other half is figuring out what to do about them. There are a variety of approaches to preparing a boat to connect to international shorepower. In Part II of this article series, we&apos;ll look at three general approaches, and the advantages and disadvantages of each.